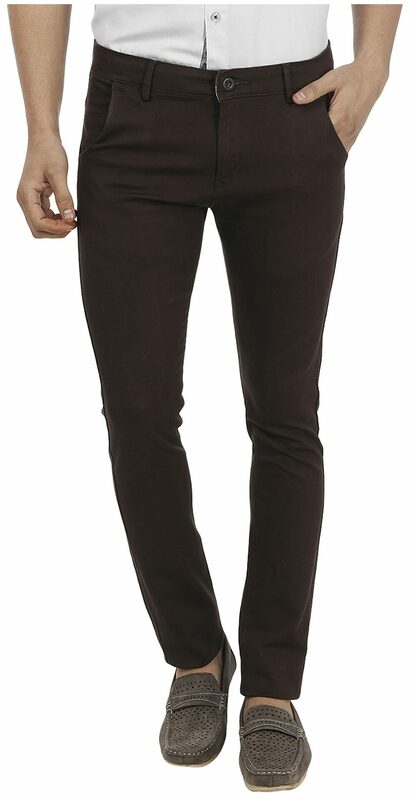 This Latest Pair Of Brown Trousers By FEVER Is An Instant Hit Among Urbane Men Out There. Made From Fine Quality Cotton Lycra Material, It Offers You A Comfortable Feel And Proper Breathability Throughout The Day. Further, The Classic Solid Pattern Will Surely Catch Your Eye At The Very First Glance. You Can Team This Pair Of Trousers With Your Favorite Shirt And A Pair Of Loafers And Sport A Smart Look.